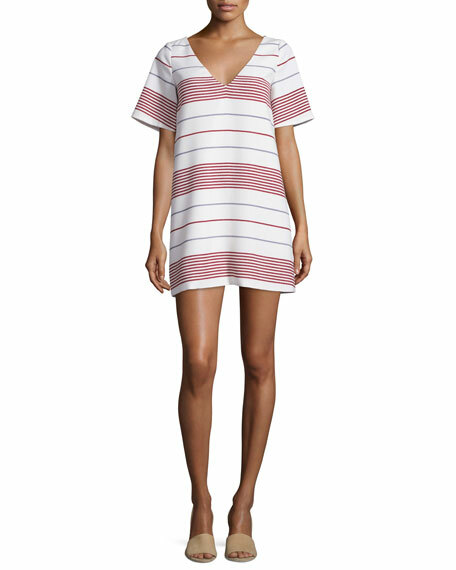 Elizabeth and James "Orlando" striped-woven dress. 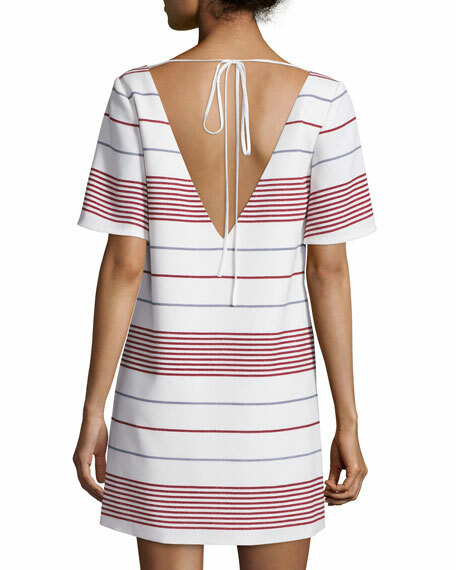 V neckline and back; self-tie closure at back. For in-store inquiries, use sku #1692284.